I think it is the name that keeps drawing us back to this small geyser basin. 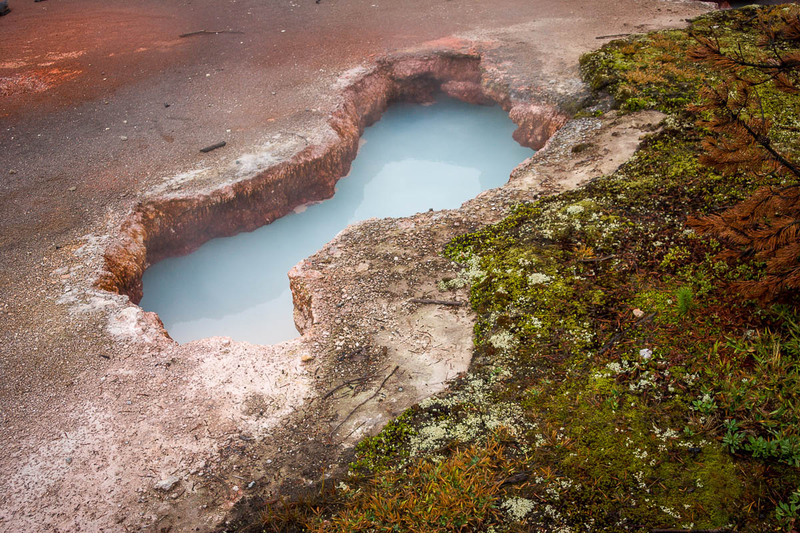 Artists Paintpots implies colorful displays and that is certainly true. 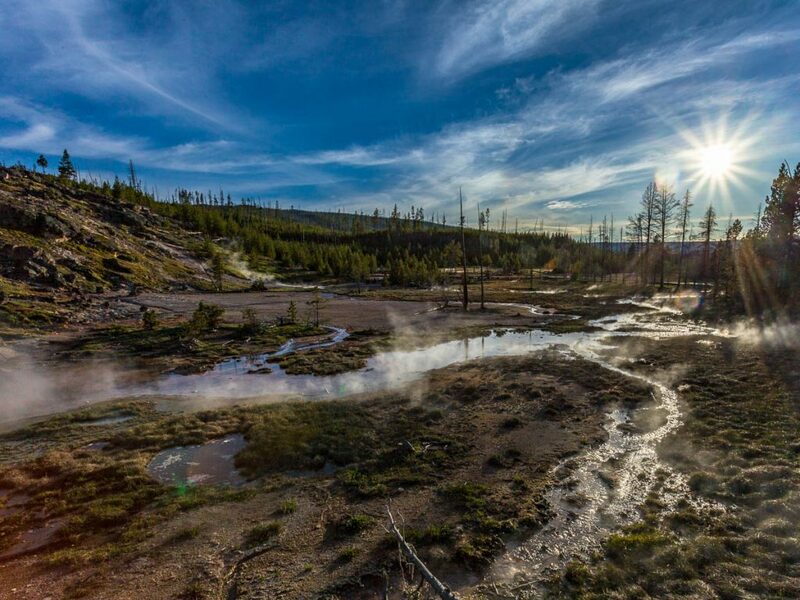 Each time we have visited Yellowstone National Park, we have managed to walk the short trail that circles the basin. 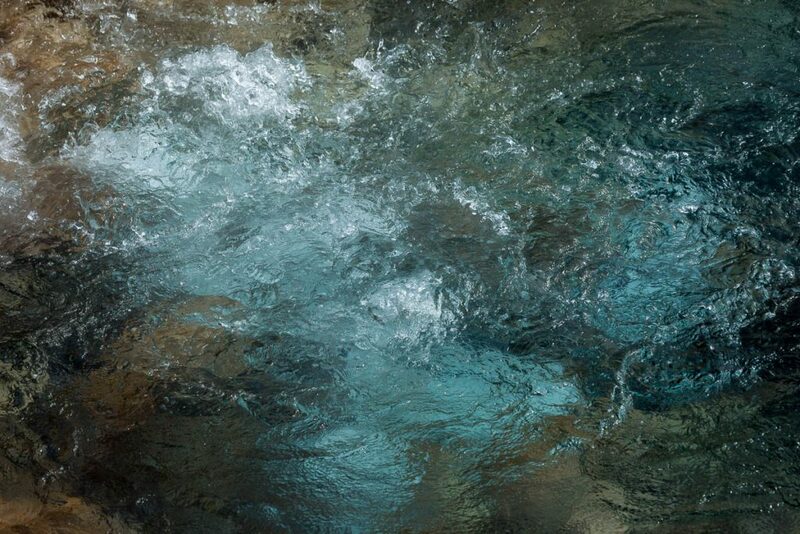 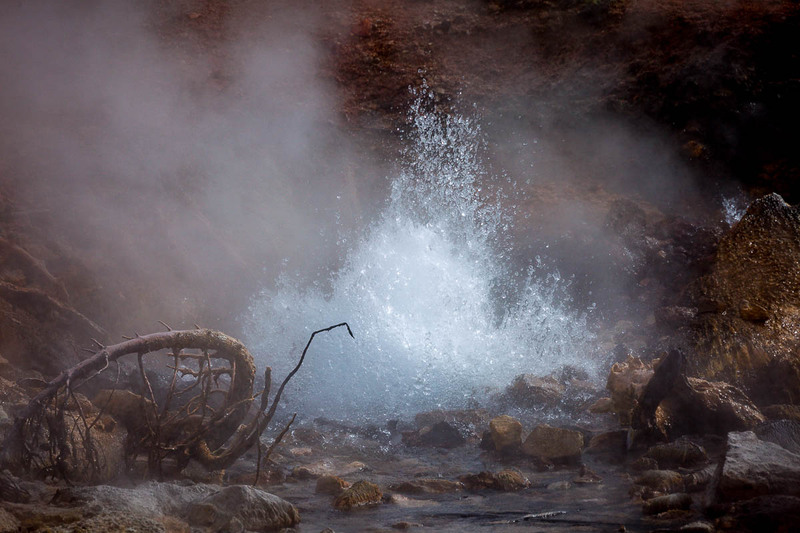 And each time I have discovered another steaming hot spring or bubbling mud pot to photograph. 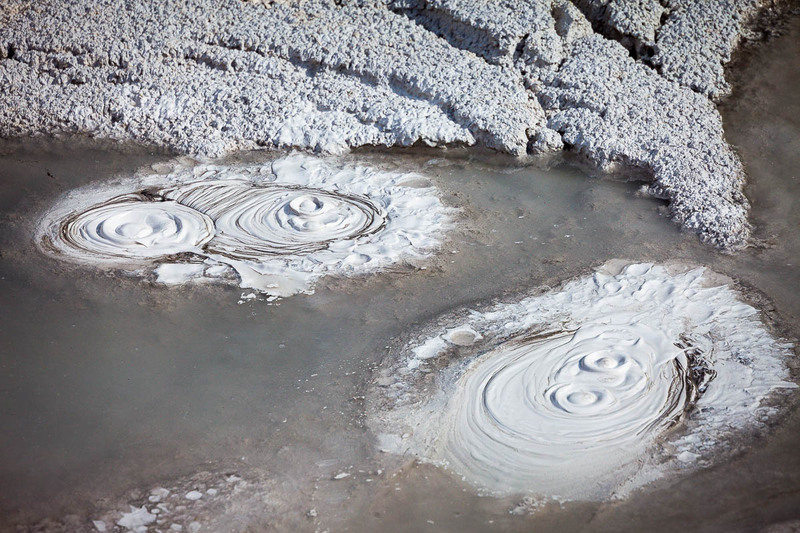 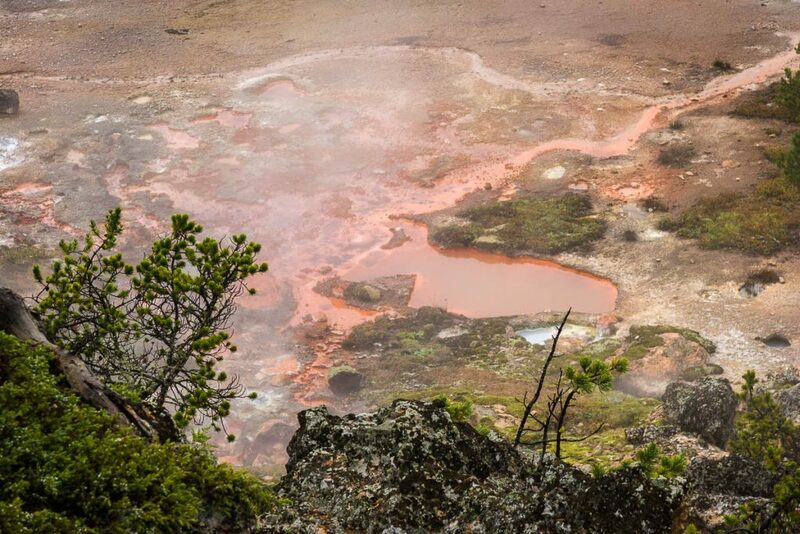 Unlike the larger geyser basins in Yellowstone, Artists Paintpots is modest. 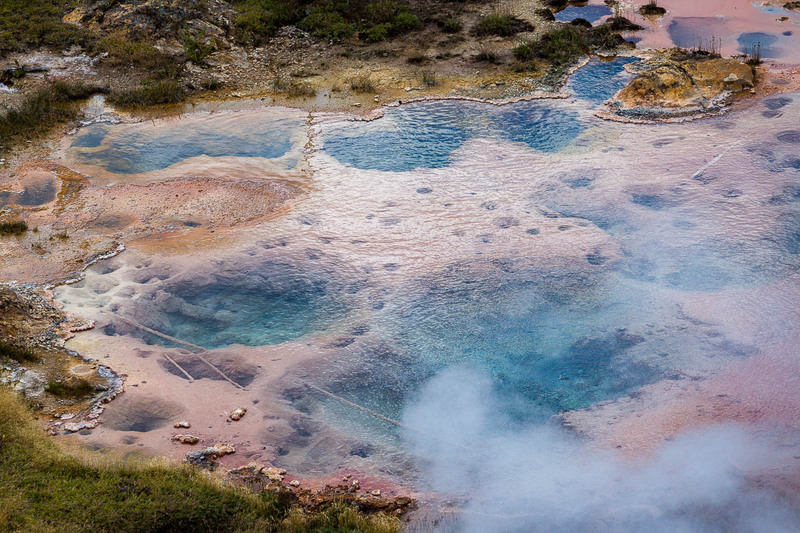 What it lacks in spectacle, it makes up for in color. 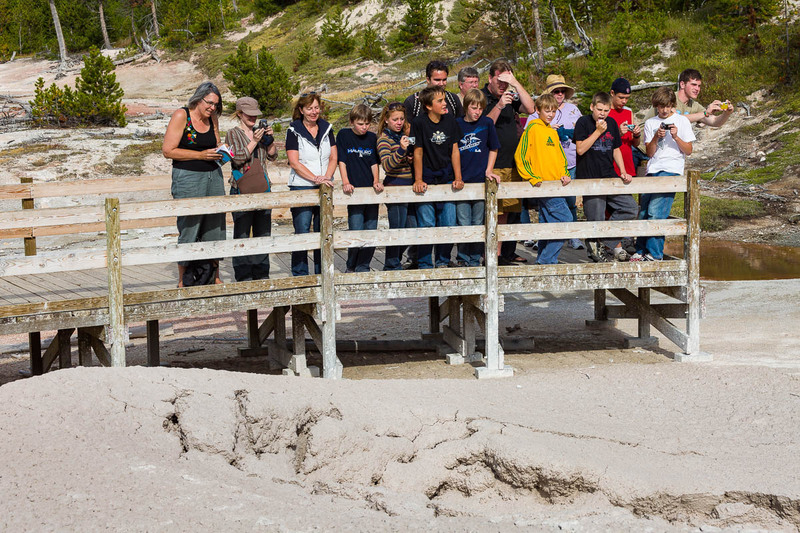 It is a place to get close and really observe the action. 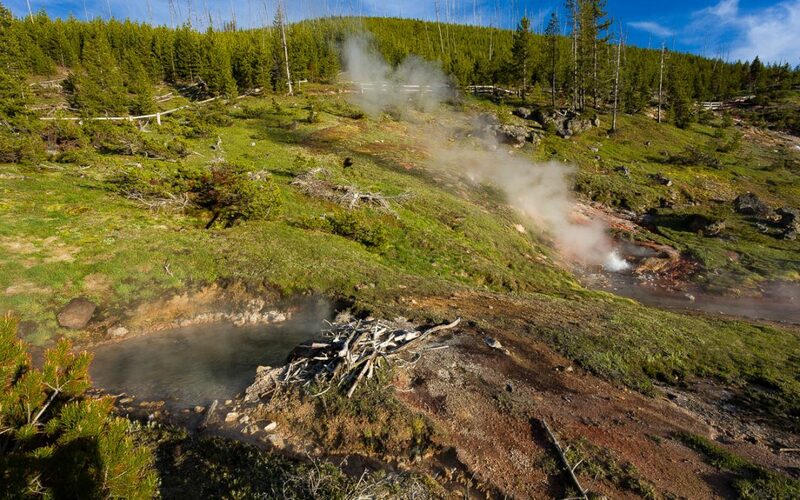 From the boardwalk on the one-mile long trail, you can see several hot springs, two large mudpots, a fumarole, and a couple of small geysers. 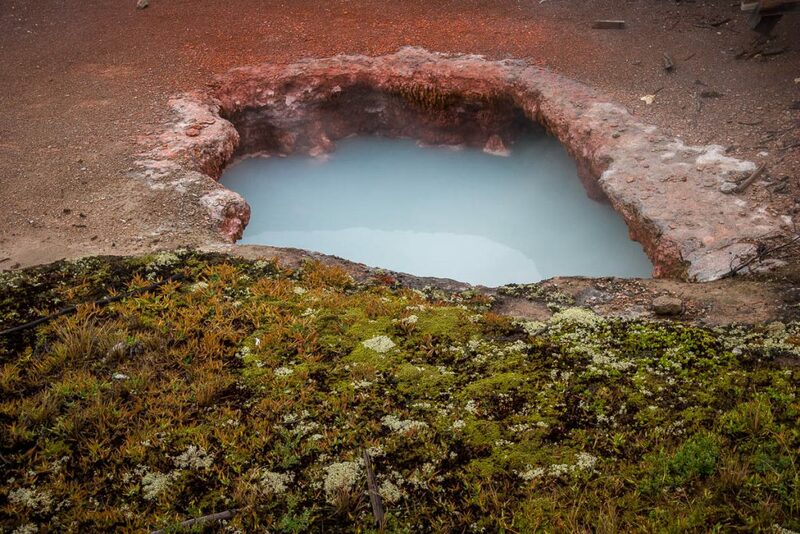 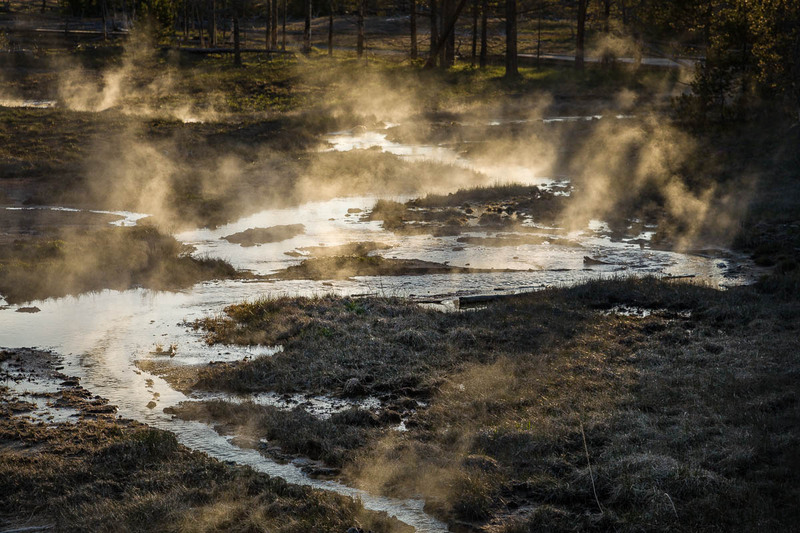 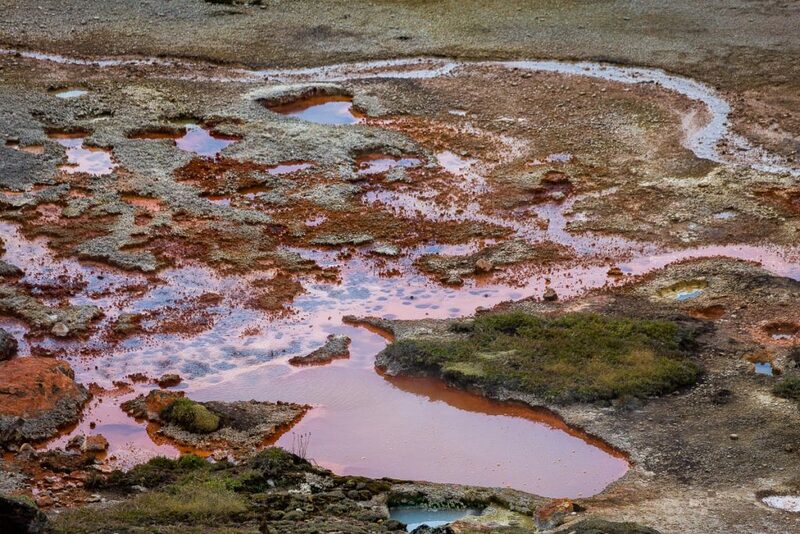 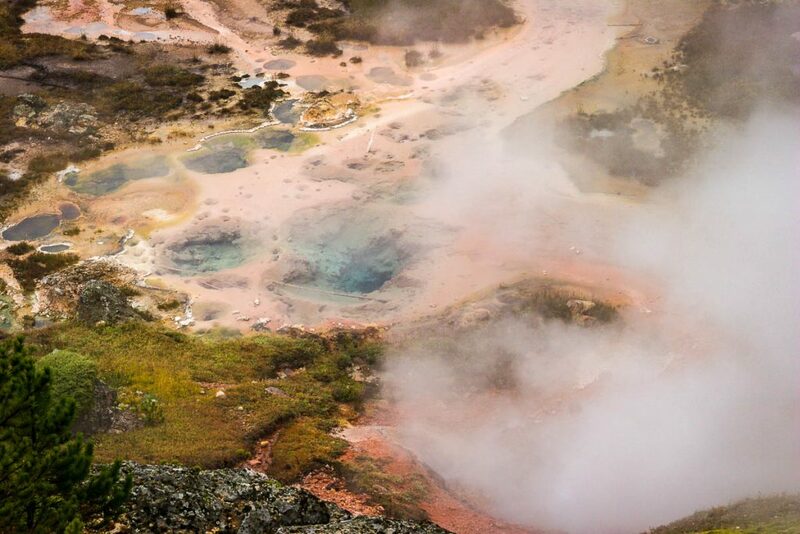 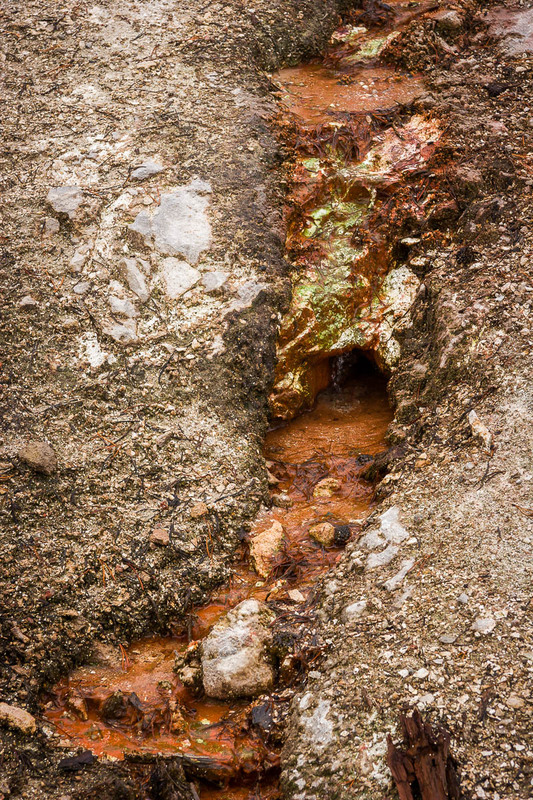 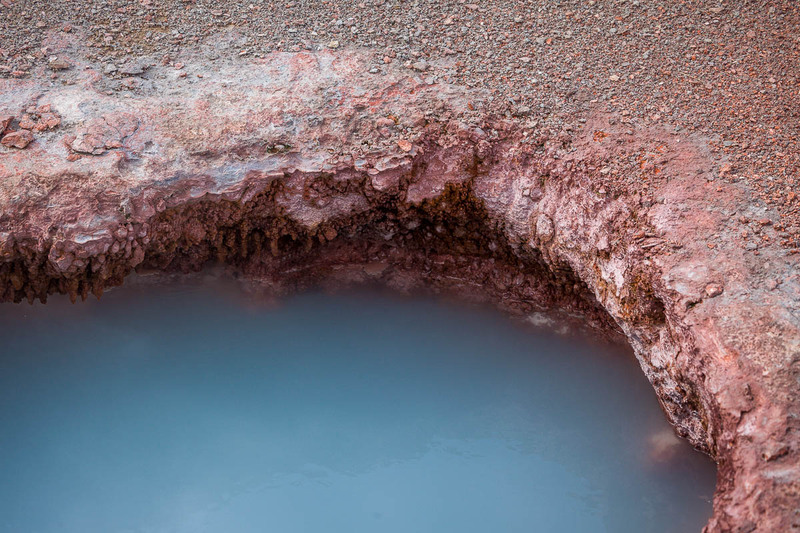 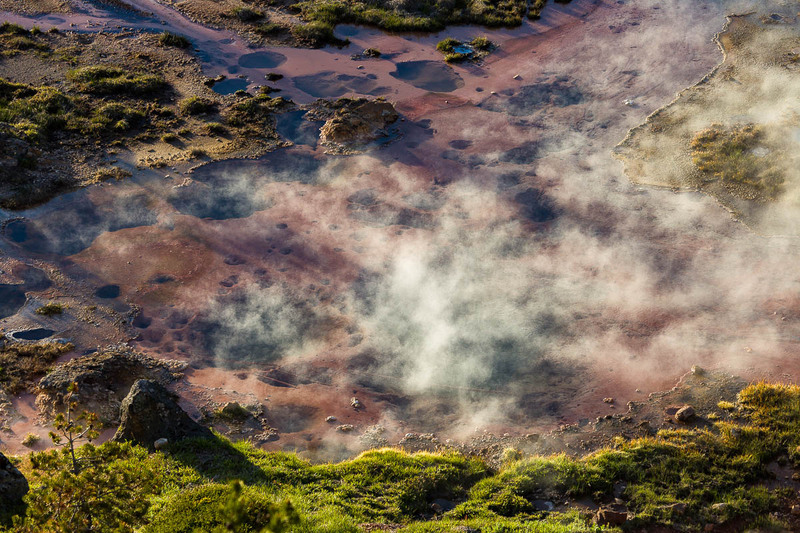 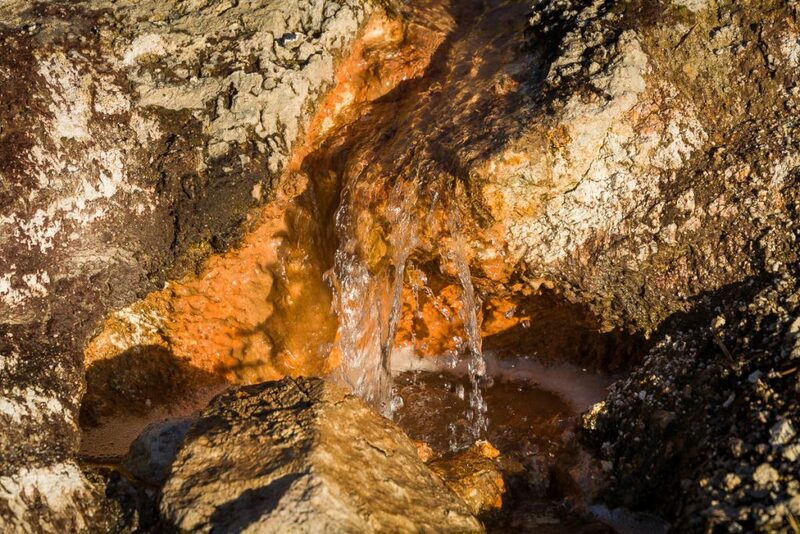 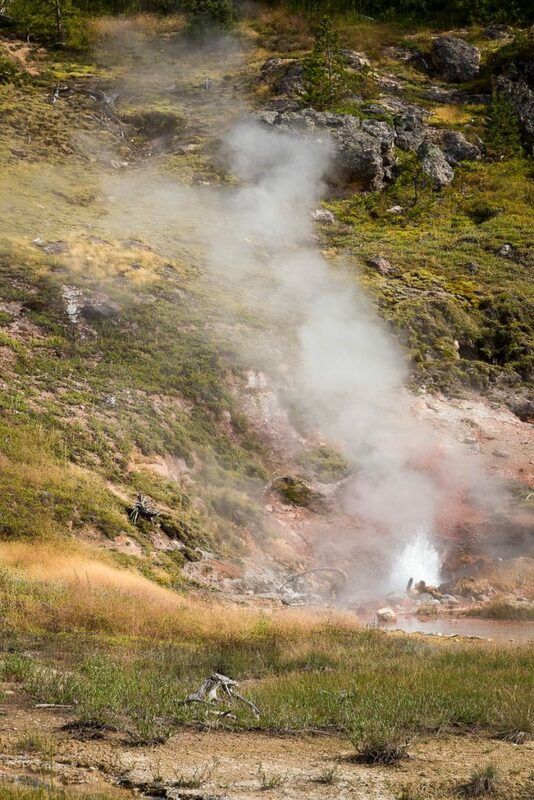 All your senses are stimulated as you listened to the hissing and sputtering and popping, smell the sulfur odor and feel the heat of each geothermal feature. 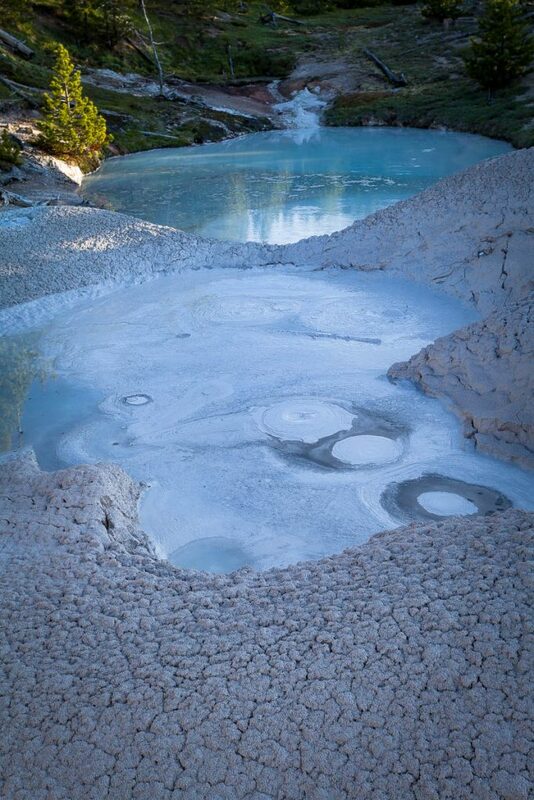 Artists Paintpots is located about a mile south of Norris Junction on the loop road between Madison and Norris. Allow at least and hour to walk the trail and take a few photographs. 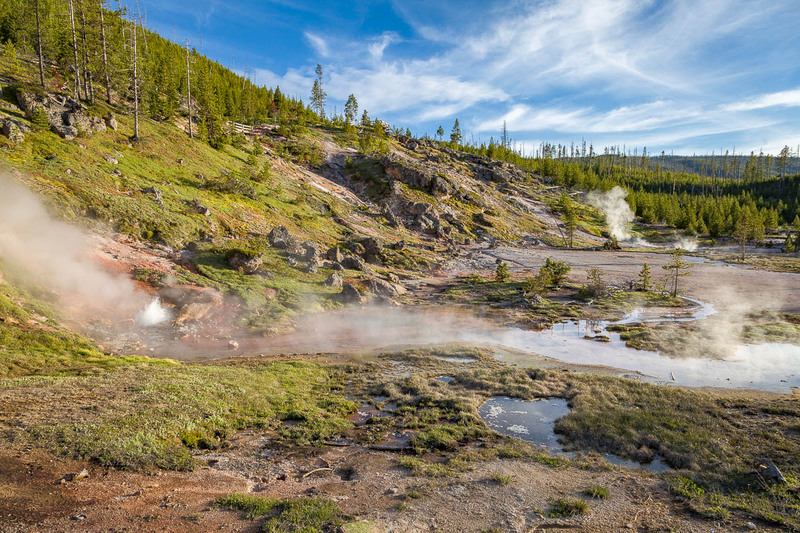 To find your way to Yellowstone National Park and Artist Paint Pots, go to the Jackson to Gardiner Road Trip Guide.